The legend of Don Juan was first brought to life by Spanish writer Tirso de Molina in the 1630s. In this version, the libertine and rogue Don Juan has killed Gonzalo, the father of one of the women he has seduced. Later in the story, Don Juan passes Gonzalo’s tomb and mockingly invites his statue to dinner. 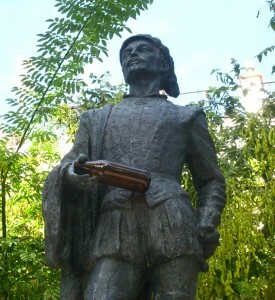 The statue accepts and arrives at Don Juan’s home for dinner in the form of Gonzalo’s ghost. He then invites Don Juan to dine with him in the graveyard. Once there, the statue of Gonzalo grabs Don Juan by the arm and drags him all the way to Hell. This character was known for his seductive nature and countless affairs with young Spanish women, which is why today we refer to a womanizer as a “Don Juan.” Other artists have found this fictional libertine man to be of inspiration as well; Mozart’s famous opera Don Giovanni and Lord Byron’s narrative poem Don Juan are based on the Don Juan legend. I next looked to see if there was a “real” Don Juan, someone who inspired this bigger-than-life character. Enter real-life Spaniard Don Miguel Mañara, who was born in 1627 to a wealthy family in Seville. After inheriting large sums of family money at a young age, Mañara is said to have led an extravagant, public and very indulgent lifestyle. He was also something of a womanizer during this time. But when his wife died years later, Mañara was struck with such grief that he turned to God and began leading the Brotherhood of the Holy Charity and founded the Hospital of Charity, which still looks after the poor and disabled today. After a little more detective work, I came to find out that this real-life character, who is so often connected with the legend, was actually only 3-years-old at the time the original story of Don Juan was written by Tirso de Molina in 1630. So how did he become the “inspiration” for a story that was written before he could even ride a horse? Some theories say that during the 19th century there was an interest to make Don Miguel Mañara a saint. 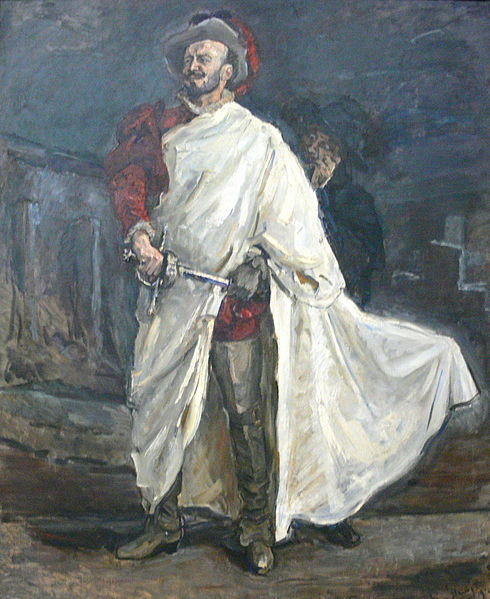 But those who were against this movement attempted to taint his image by exaggerating the stories of his rogue behavior and connecting him with the character of Don Juan. As I was wandering though the beautiful and charming Barrio de Santa Cruz in Seville the other day, I came across the statue of the infamous Don Juan in Plaza de los Refinadores. I stood there for a moment, trying to imagine him gallivanting about the winding, mysterious cobblestone streets during the 17th century. I stood close to the statue, wanting to get a better view of the confident, all-knowing smirk he was wearing…I just made sure I didn’t let his statue shake my hand. This was originally posted on Andalucia Inside. 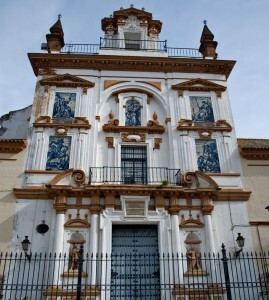 This entry was posted in Culture, Famous Icons, General Interest, History, Spain Facts and tagged andalucia, barrio de santa cruz, culture, don juan, don miguel mañara, history, hospital of charity, regions, sevilla, seville, spain, Spanish, tapas, tourism, tours, travel, traveling. Bookmark the permalink.